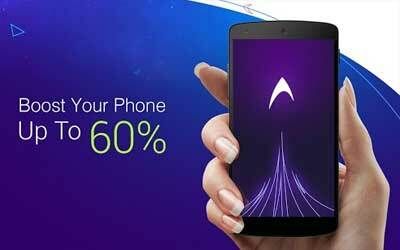 DU Speed Booster APK 2.9.9.0.3 is praised by many apps reviewers due to it multipurpose usage. A Hong Kong app developer called Du Apps Studio develops this app. Besides this app, the same developer is also released DU Battery Saver. The developer claims this app is capable of speed up the performance of your android device up to 60%. Due to its small RAM consumption, this app does not disturb the performance of your phone or tablet. It also helps you to clean up the background process on your device. The best thing about this app is that you can activate several function of this app with a single touch. This optimization app has several purposes. One of them is game booster. As the name suggests, it boost the speed of your game to enhance your gaming experience. It concentrates the power system of you smartphone to support the game operation. It increases the frame pre second of the game, so that it feels smoother. Besides, DU Speed Booster also has speed acceleration. It diagnoses and accelerates the speed of the system with single optimization touch. It cleans up the running background app that slows down the system. Therefore, it stops unnecessary app to conserve the memory usage. In every android device, there are always cache and unnecessary file on the system. Du Speed Booster for Android cleans up those caches and files from your system. It also deletes the leftover file after app uninstallation to free the storage system from your smartphone. You can also clean up the calling caches with a single touch. The most important feature of this app is called Du Security. As the name implies, it secure your device from any viruses. The system of this app inspects every app before you installed in order to secure your phone or tablet by giving security clearance. A more extreme SPEED+ acceleration experience. Bug fixed and overall performance optimized.